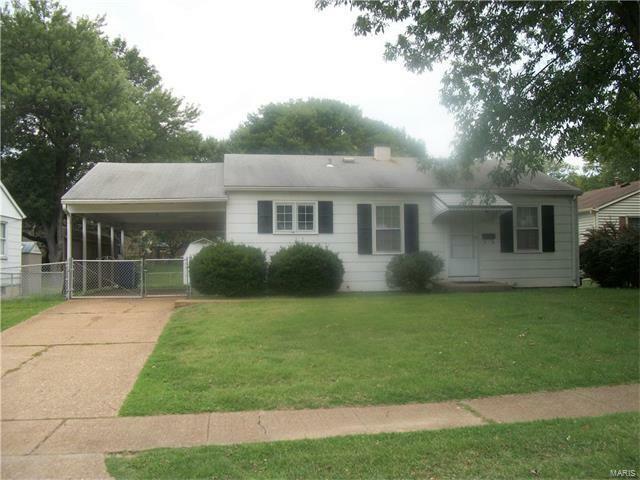 Florissant house located in the Hazelwood West School District. Three bedrooms with hardwood flooring. Living room with combination dining room also with hardwood flooring. Kitchen has wood cabinets and vinyl floor which open to the double gated wide carport and shed in large fenced yard. Nicely landscaped, sidewalks and streetlights. Close to major highways, shopping and schools. Shackleford to West on Mullanphy, Left on Cypress, Right on Hawthorne Manor. First House on the right.